Yes by Adwords; we mean the same Google Adwords- which is used to drive maximum traffic to your website thus helping you to build your business. Adwords is a tool that really helps its users to be successful. However, at the end; keep in mind that it is also a business and its main aim is to make money. Whenever any new advertiser signups for Adwords; he/she can see a default setting which can quickly empty the pockets. Do you believe? You don’t believe but it is true. Adwords has such feature that will take lots of money from you. So, what this feature is all about? This feature is known as “Search Network with Display Select”. It has a pretty good quality to blow away your budget. In case it is set in a wrong way then advertisers can make lots of mistakes. It can badly hurt your campaigns. What is the work of this feature? This feature combines search campaign and display campaign into a bigger one and then it displays Search Ads that are Google Ads available on a search page which gets triggered when anyone types a search term in Google. Display ads are banner ads and text ads which are shown on websites all over the web. Google partners with these sites and then they seem to be a part of their network. What’s the issue with this feature? The main issue is grouping them together will cost you less from the budget and hence if Google finds your search ads are not showing up one day then they will spend more budget on display ads. This actually suits perfect however not at all times do these ads get converted. Finally, they click on the ad and get transformed into customers. For various display ads; Google will display your ads on category specific websites and these will be visible to all users as they surf around the web. The text is in the form of image, text, rich media as well as video ads. Among all the display ads, nearly only 2.8% are relevant. The second one is not actually digestible because Google lays stress upon using technology in order to prevent accidental mobile clicks. However, several times when clicking on these Display ads; you will never receive any display warning. So, what must be done about it? 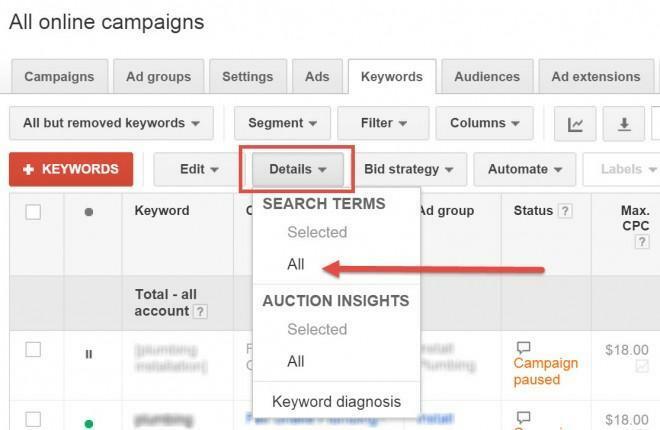 Jump into Adwords and then see is this feature is turned on in your campaign or not. Now, select Search Only Network. Run Google’s wizard in order to set up the campaign. Set the budget for this campaign as well as search campaign. You can also run both campaigns. Next time when you launch any campaign; make sure to search properly and turn off this feature. Let us know how this blog post helped you in doing so. For more such details, stay connected with us.